Khabib Nurmagomedov vs. Conor McGregor is officially on. Nurmagomedov and McGregor both made weight today ahead of facing off in the main event of UFC 229 at the T-Mobile Arena in Las Vegas tomorrow night. Nurmagomedov was the first person to weigh in today, coming in at exactly 155 pounds for their lightweight title fight. 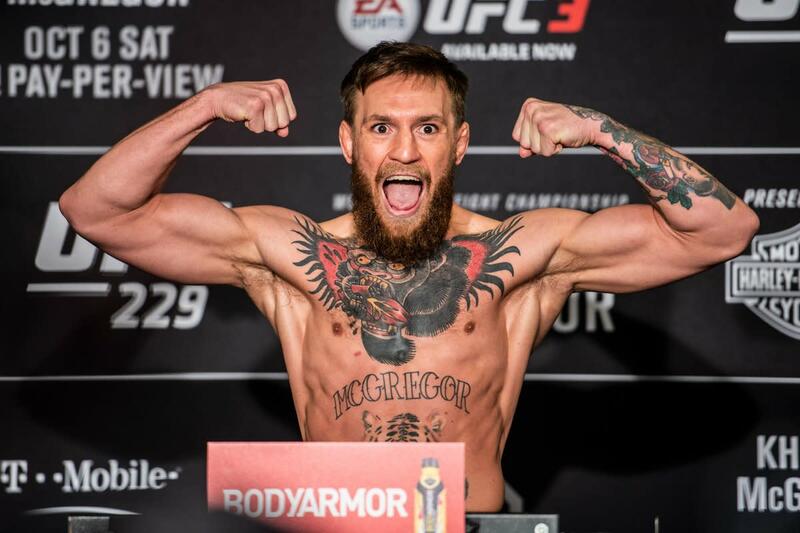 McGregor later weighed in at 154.5 pounds. Tony Ferguson, who likely would have replaced Nurmagomedov or McGregor if either had to pull out, weighed in at 155 pounds for his lightweight fight against Anthony Pettis. Pettis made weight at 156 pounds (with the extra pound allowance). With McGregor arriving late, yesterday's press conference for the UFC 229 main event didn't go according to plan. Nurmagomedov came out when the press conference was supposed to start, took questions for 15 minutes, and left. Dana White then answered questions until McGregor showed up. Nurmagomedov and McGregor will meet for the final time before UFC 229 at today's ceremonial weigh-ins. The ceremonial weigh-ins are scheduled to start at 8 p.m. Eastern time. The lineup for UFC 229 is listed below. Everyone made weight for the event.